« How to create a zip folder? How to create ringtones in itunes 10? Making custom ring tones for your iphone is way easier then you think. Just by a single drag and drop action you can enjoy your very own custom ring tones. Just follow the simple steps given below. Once done with the installation process, open up the iTunes application and go to the music library. Choose a song you want converted into a ring tone. Right click on the file and choose the “Get Info” option. Once the new window pops up, go to the options tab and click on “Start Time” and “Stop Time”. Set the stop time to 30 seconds. The maximum duration for your custom ring tone is 40 seconds. When the new window pops up, go to the options tab and click on the “Start Time” and “Stop Time” check boxes. Set the Stop Time to 30 seconds. Leave the Start Time to 0:00 if you want the song to start from the beginning. Now go to advanced and select the “Create AAC Version” option. Now simply drag and drop the AAC file on your desktop and change the extension of the file from “.m4a” to “.m4r”. 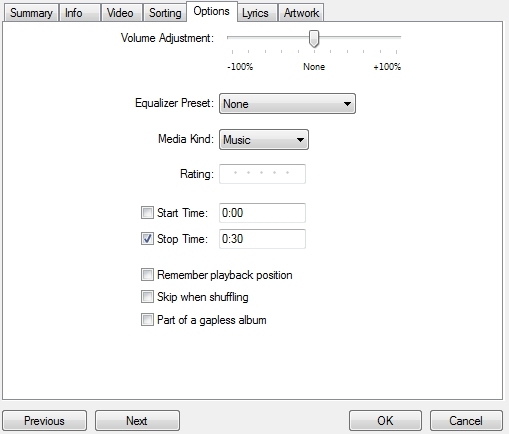 Delete the 30 second AAC version which you previously created on iTunes. You can do that by simply clicking on the file and pressing the delete button. Drag and drop the “.m4r” file, located on your desktop, to the iTunes music library. And there you have it! Go to the ring tones tab and you would see that your song has been converted into a ring tone.